I love reading to my children. I try read to them for 20-30 minutes everyday. I also want to instill in them a love for learning about other cultures. Why? Because God has saved people from every nation, tribe, and tongue. My desire is that Charis and Justin will pray for people throughout the world. Charis is participating in the read the world summer book club, using the book Give your child the world by Jamie Martin as a guide to introducing children to: Europe, North America, Middle East, Asia, Latin America, and Australia/Oceania/Polar regions. 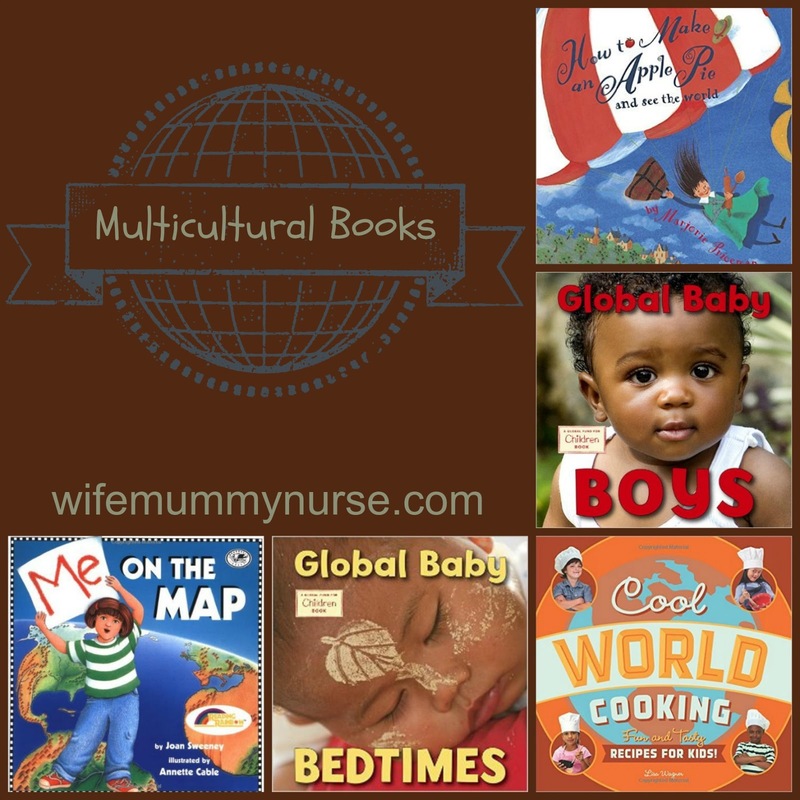 For the first week, I read multicultural books to the children. Me on the map by Joan Sweeney. Me on a Map introduces children to maps and geography. Even though I already covered the material in the book with Charis, it was still helpful in reviewing the continents in the world and the states in the United States of America. How to make an apple pie and see the world by Marjorie Priceman. We read this book back in October for a week for five in a row. A girl wants to make an apple pie, but she finds out her local market is closed. No problem. She'll just go to different countries in the world for the ingredients, eventually making her way back to the USA to make her pie. This is an excellent book for introducing geographical locations (France, Italy, England, Sri Lanka, Jamaica, and Vermont). Global baby boys and Global baby bedtimes were more for my son, than my daughter. They're board books. On each page, you have a photograph of a baby with the country that the baby is from. In Global baby boys, the babies are all boys. In Global baby bedtimes, the babies are boys or girls, all of which are sleeping. Despite the fact that these books were board books, I was still able to show Charis where the countries were located and color them in on a map. Cool world cooking by Lisa Wagner. Cool world cooking introduces children to different foods eaten throughout the world-Mexico, France, Italy, Africa, Middle East, and China and Japan. The foods given are relatively easy to make. One frustration I have is that the countries are not listed individually for Africa and the Middle East. I'm reminded of the common (and justifiable) complaint that Africa is NOT a country it's a continent, but those in the West often refer to it as Africa. What multicultural books do you recommend? Linking up at Hip Homeschool Moms. What an amazing list of books. I think it is important to teach our children that there are all different types of cultures out there. I think that's great! My mom always read to us and we even had book reports on what we read. She was a teacher, so everything was always a learn opportunity. How cool! 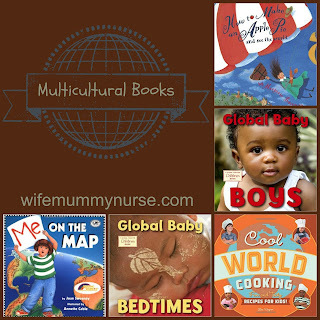 It's great to make sure kids gets to learn about other cultures and people around the world! This is such a treasure! I'm always looking for good children's book reviews. Our children can travel around the world through reading. So cool! When we travel to any place we seek out restaurants that we can only experience there. Even when we've been on cruises, we eat off the boat - locally. I love that you're doing this with your kids and especially your heart for the world! We've just finished a year of homeschooling focusing on Children Around the World which I'm almost finished documenting. You might enjoy some of the books we found and enjoyed! http://desperatehomeschoolers.com/children-around-the-world/ Thanks for sharing this at Booknificent Thursday on Mommynificent.com!